God has a passion for forging us every day into what he intended for us to be. By his grace, he transforms us into soldiers for Christ giving us the encouragement to press on fighting the good fight. The week of camp, we will learn how to allow God to forge us in His strength so that we can prevail in this life. Camper Application (You can fill in the application online but you must then print, sign, and mail the application with payment to Joe Squiers 1918 FM 1644 Franklin, TX 77856. All Checks make payable to CTCC INC.
About Applications - Deadline for applications is June 1st or until cabin fills with age group. All those received after the 1st will be put on waiting list if necessary. Those accepted will receive additional information no later than June 12th. Fill in the application and the medical release completely. Camp is located between Marble Falls, TX and Cedar Park, TX just off of highway 1431 in the Texas Hill Country. We are 17.2 miles west of Cedar Park, 6 miles west of Lago Vista and about 21 miles east of Marble Falls. Turn south on Singleton Bend Rd. (it’s the only way you can turn) and entrance will be at the bottom of the hill on left. We are located on the corner of Hwy 1431 and Singleton Bend Road. Purpose: The purpose of CTCC is to provide association in the spirit of Christ and to exemplify the joy of Christian living for young people by teaching the word of God in its purity. T-Shirt Information: Campers will receive t-shirts. In order to insure you receive the correct size, please have your application in no later than May 15th . All medication brought to camp must be in original bottle or dispenser. Any medications not in original container will be sent back home with parents. No child will be given medications not in its original container. Medications not in original container cannot, by law be passed out to minors. Please, if you are on medications, make sure you bring them to the nurse in their original container. This is state and federal law mandated for the purpose of making sure a child is not given the wrong medications. We will make sure each child has their medications when they need them. Please help us in our endeavor so we may continue to be a wonderful part of your camping experience. Insurance - Each camper is insured while they are on the premises of Camp Hensel with a supplemental medical insurance. The cost of the insurance is included in the camp fee. In case of injury or illness your primary insurance will be billed first, and then the supplemental coverage carried by CTCC will kick in. Food – CTCC’s commitment is to have the best food served at any camp. If anyone cares to join us for a meal, 12 hours’ advance notice would be appreciated. There will be a $6.00 charge per person, $4.00 per child. Starting and Closing Time - Check in will start on Sunday afternoon at 4:00 pm. Supper will be served Sunday night at 6:30pm followed by an evening worship. Camp will close at 10:00 am on Saturday. We ask that all parents arrive prior to this time to check your camper out of camp. Who May Attend - The camp is for any your person who has finished the 4th grade and those having completed 12th grade. (18 year olds must sign a special release allowing the staff access to vehicles and all personal property). What to Bring - Each camper must bring his own sheets, pillow, blanket, towels, robe, and toiletry articles. Bring a Bible, note taking material and pens. Please bring baseball or softball gloves for sports, flashlight, and insect repellent, sunscreen. When the campers arrive, a cabin and bunk will be assigned. You may bring an electric fan if you so desire. Please write names on all items. What Not to Bring - Do not bring firearms of any kind, knives, axes, or metal spiked shoes. Cell phones are allowed during cabin time only. Do not bring illegal substances, tobacco or alcohol to camp. Disciplinary actions will be taken on those not complying with the rules of the camp. All camper vehicle keys will be turned into camp director until the end of camp. Clothing - The directors of Camp Hensel are concerned about the type of clothing worn at camp. They have decided that jeans, modest shorts (no shorter than 6 inches above the knee), and modest shirts will be the only acceptable clothing for activities. Shirts must not be see-through, and can be sleeveless as long as all undergarments are properly covered, and they are not tank tops. NO SOPHIE or RUNNING SHORTS (Running shorts are permitted with spandex underneath), SPAGHETTI STRAPS, TANK TOP, OR CROP-TOP TYPE, AND ALL SHIRTS MUST HANG BELOW THE WAIST LINE. Campers not abiding by these guidelines will be issued alternative clothing or may be subject to dismissal. PLEASE, MODEST SWIM SUITS. 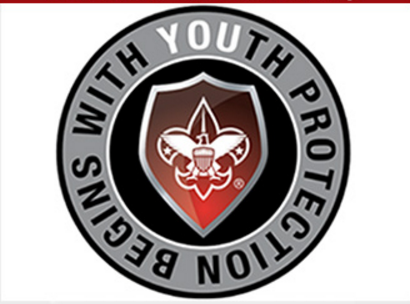 All staff must complete the youth protection training and provide a copy of your completed certificate.